I LOVE citrus desserts. I grew up enjoying lemon glaze cake, lemon meringue pie and more. The combination of sweet and tart is delightful. 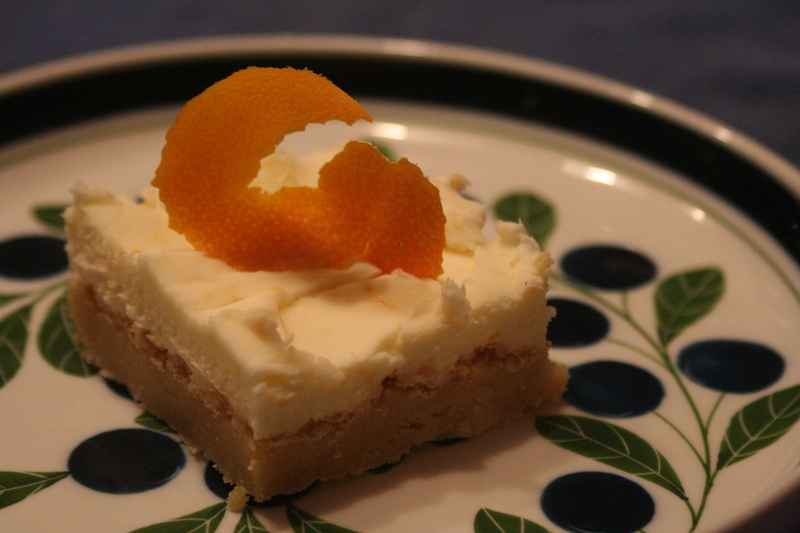 These orange brownies were unbelievable!There is no chocolate in them - they are simply a dessert bar. We will definitely make them again for a wonderful treat! Preheat oven to 350 degrees F. Grease a 9x13 pan. Stir together flour, granulated sugar, and salt in a bowl. Add butter, eggs, orange extract, and orange zest. Using a handheld electric mixer, beat until well blended. Pour batter into prepared pan and bake for 30 minutes, or until light golden brown and set. Remove from oven, allow to cool and pierce entire cake with a fork. Spread the Orange Cream Cheese Frosting over completely cooled brownies. Cut into squares. Store in the refrigerator. 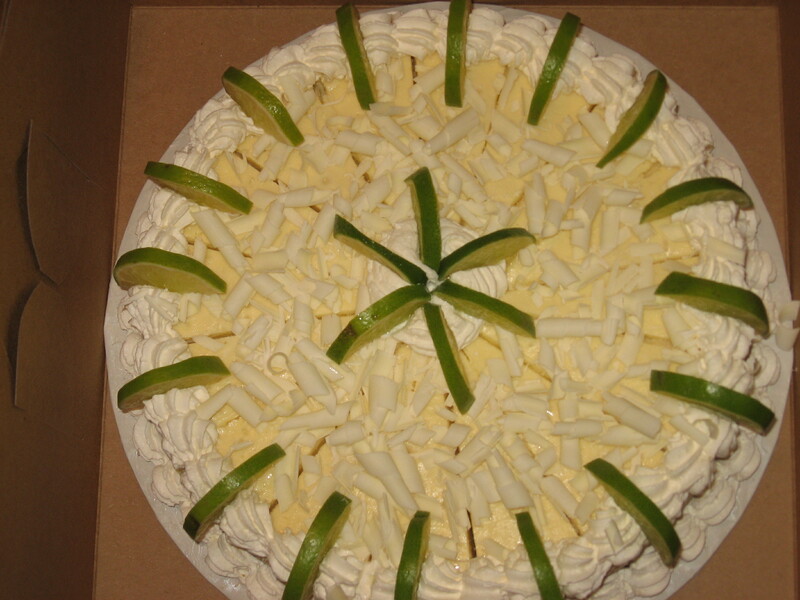 I've not been a huge fan of key lime desserts until the last few years. This key lime cheesecake is delicious. It's light and creamy and the fresh squeezed limes make it so fresh. I like to garnish this with fresh whipped cream, fresh lime slices, and white chocolate curls. In a large bowl, beat with an electric mixer the cream cheese, sugar, lime peel, and cornstarch until smooth and fluffy. Beat in eggs one at a time, blending just until smooth. Add key lime juice with mixer on low. Finish mixing by hand. Do not overbeat, or cake will crack during baking. Pour batter into prepared crust. Bake at 300 degrees for 55 to 65 min., or until set. To minimize cracking, place a shallow pan half full of hot water on lower rack during baking. Turn oven off, and let cheesecake stand in oven 30 min. with the door open at least 4 in. Remove from oven. Refrigerate cake overnight, and up to three days. This cake is so lemon-y! We all loved it! 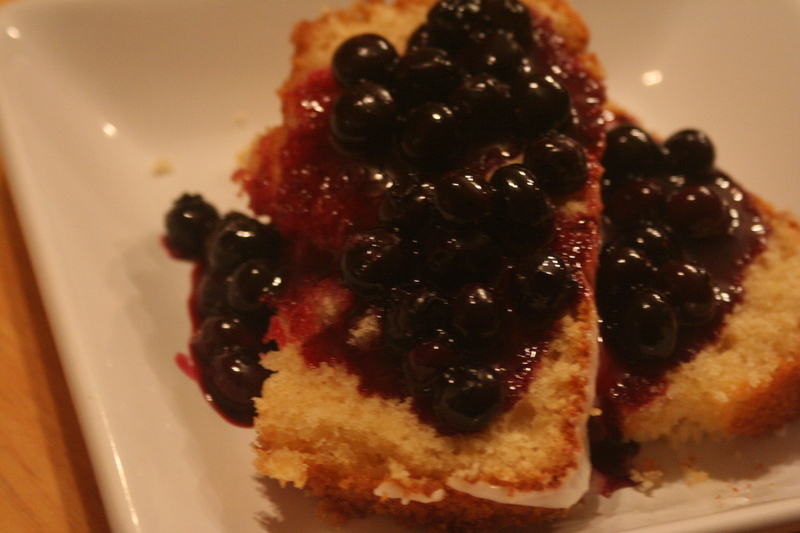 I served it topped with blueberry sauce but it's great by itself, too. It's like a pound cake. Preheat the oven to 350 degrees F. Grease and flour 2 (8 1/2 x 4 1/4 x 2 1/2-in.) loaf pans. You may also line the bottom with parchment paper, if desired. Cream the butter and 2 cups granulated sugar in the bowl of an electric mixer fitted with the paddle attachment, until light and fluffy, about 5 min. With the mixer on medium speed, add the eggs, 1 at a time, and the lemon zest. Sift together the flour, baking powder, baking soda, and salt in a bowl. In another bowl, combine 1/4 c. lemon juice, the buttermilk, and vanilla. Add the flour and buttermilk mixtures alternately to the batter, beginning and ending with the flour. Divide the batter evenly between the pans, smooth the tops, and bake for 45 min. to 1 hr., until a cake tester comes out clean. Combine 1/2 c. granulated sugar with 1/2 c. lemon juice in a small saucepan and cook over low heat until the sugar dissolves. When the cakes are done, allow to cool for 10 minutes. Remove the cakes from the pans and set them on a rack set over a tray or sheet pan; spoon the lemon syrup over them. Allow the cakes to cool completely. Combine all ingredients and cook over medium heat until bubbly and thickened. 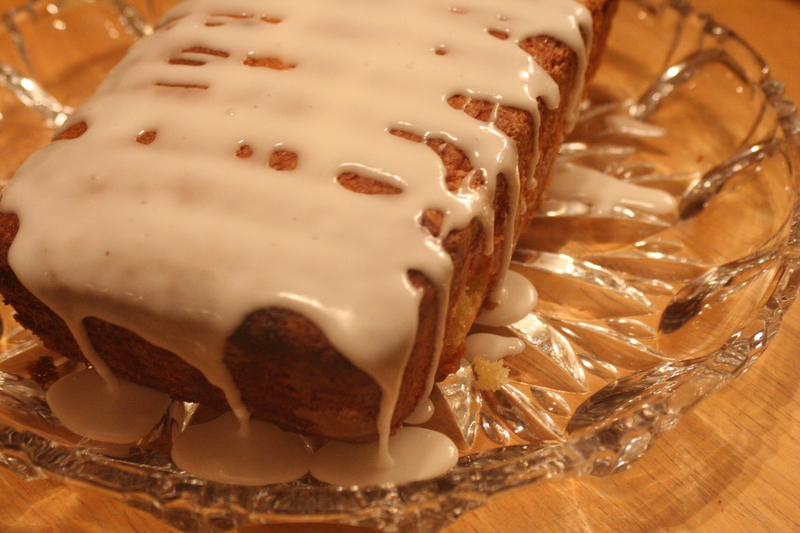 I made the lemon cake tonight for dessert and it was so good. Thanks for the recipe! Wow! Your cheesecake is beautiful! Great job!! I'm saving this recipe for valentine's day. Key lime anything is Brad's favorite. Curious: did you actually use key limes, or just regular? The Orange Brownies are a real winner!! Delicious, fresh, original; just wonderful for a bake sale, after-dinner dessert, tea-time treat, anything really!! The first time I made them I didn't have any citrus essence at all so I just used the juice from one fresh orange. The second time I used 1 tsp. lemon extract & 2 tsp. orange juice. I think I preferred this with solely orange juice, but they were declared delicious both times by my family so it must be a personal preference! !